Liga Asobal resumes following the European Championships, with the blaugrana carrying on where they left off - winning! 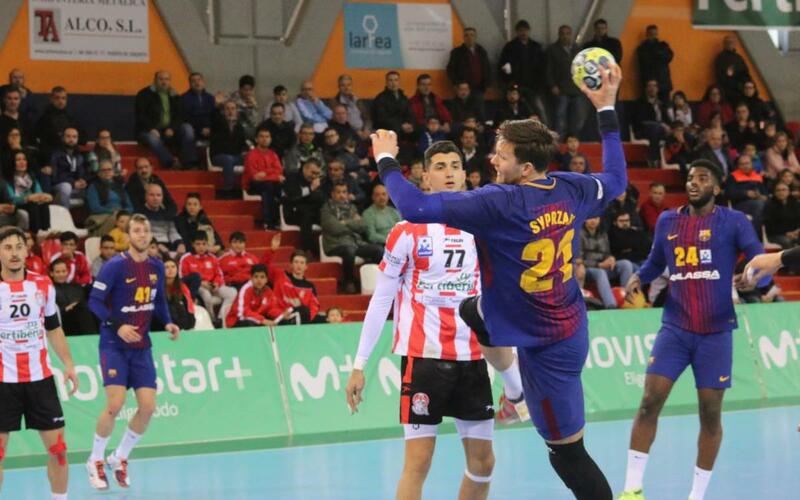 Barça Lassa just can’t stop winning as the Liga Asobal moves into the second half of the season following the break for the European Championship in Croatia. Their latest victims were second-to-bottom Fertiberia Port Sagunto by a score of 29-33, and that was without any of Yanis Lenne, N’Guessan, Pérez de Vargas or Victor Tomás in the side, as well as long term injury absentees Lasse Andersson and Jure Dolenec. Syprzak and Aleix Gómez led the FCB scoring with eight goals each, the former passing the 200 league goals mark. So that’s 15 wins and one draw from the first 16 games, leaving the Catalans a massive nine points clear at the top of the table.